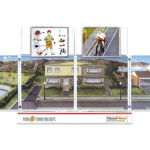 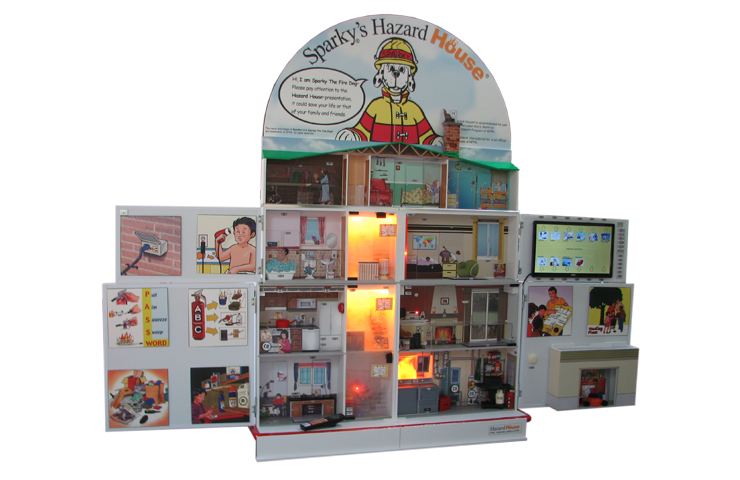 Teach how to turn a hazardous home into a risk-free environment with our most popular fire safety simulator. 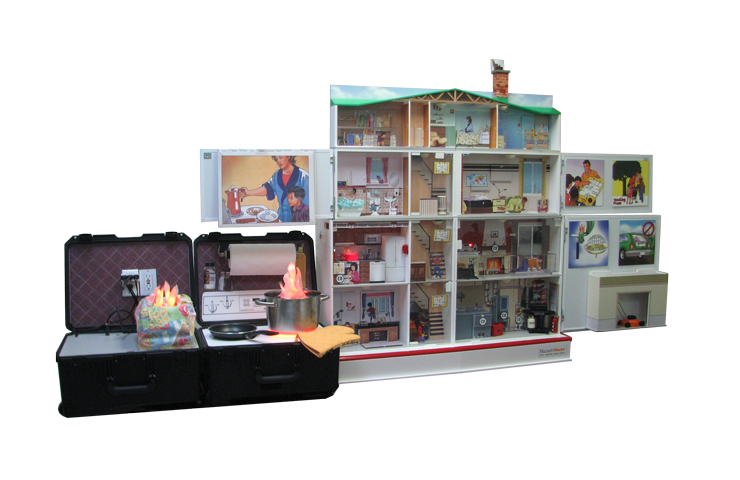 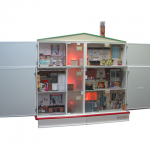 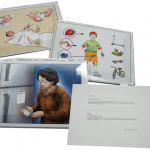 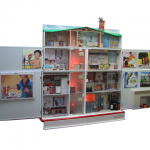 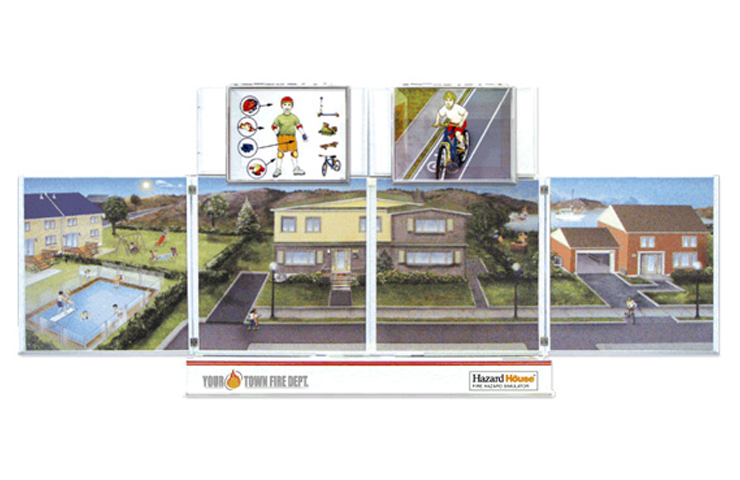 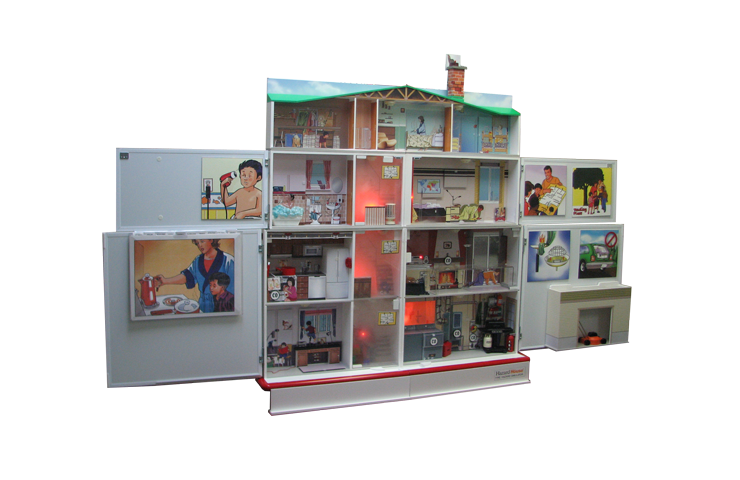 Featuring a larger scale and realistic special effects, the Hazard House fire prevention simulator is designed for interactive presentations to large groups of 50 to 75 people. 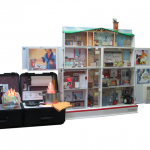 Its remarkable level of details and numerous moveable parts are perfect for grabbing – and sustaining – everyone’s attention: even from the back row. 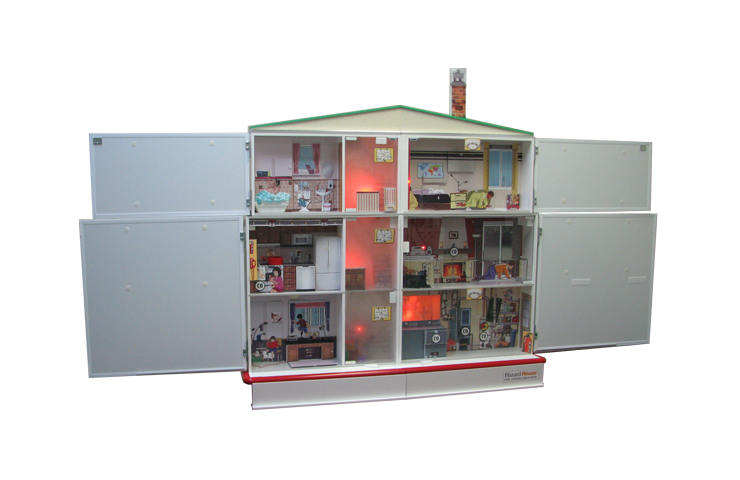 Despite its impressive size once deployed, the Hazard House fire safety simulator remains compact during transport. 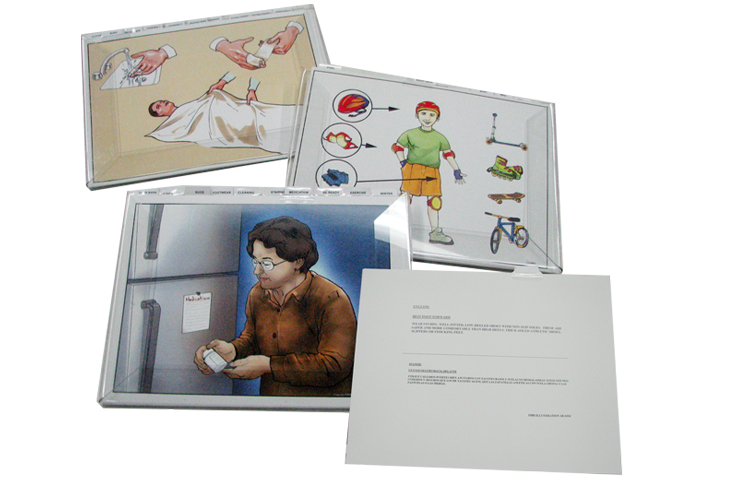 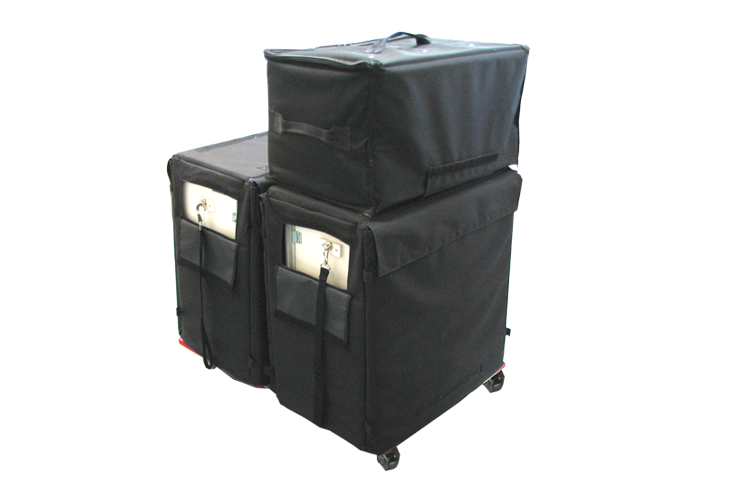 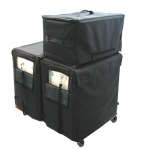 Whether in a classroom, office or at an outdoor event, simply roll it around, set it up and help people learn how to prevent accidents! 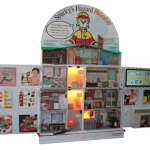 Sparky the Fire Dog ® Edition: Deluxe package including several add-ons and a special header of everyone’s favorite mascot: Sparky the Fire Dog®.